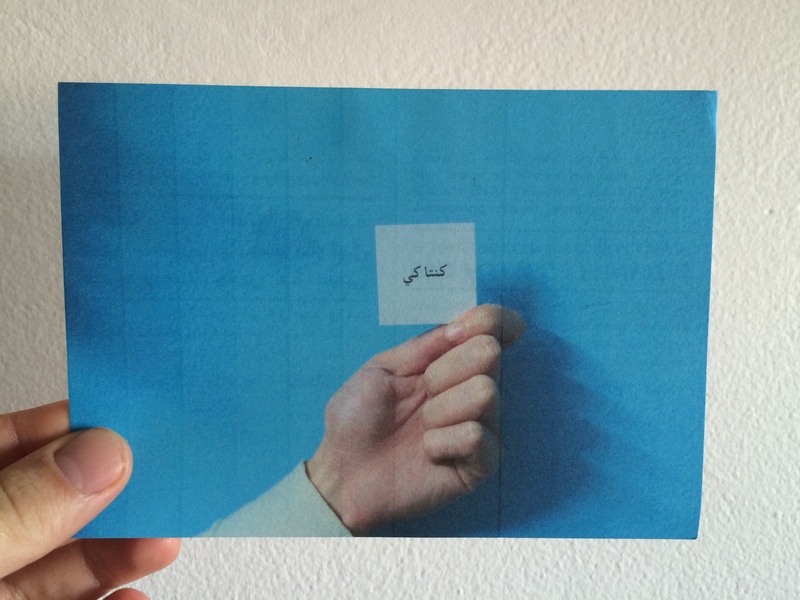 We received today a postcard from the ‘A Dictionary of the Revolution‘ project, by Amira Hanafi. 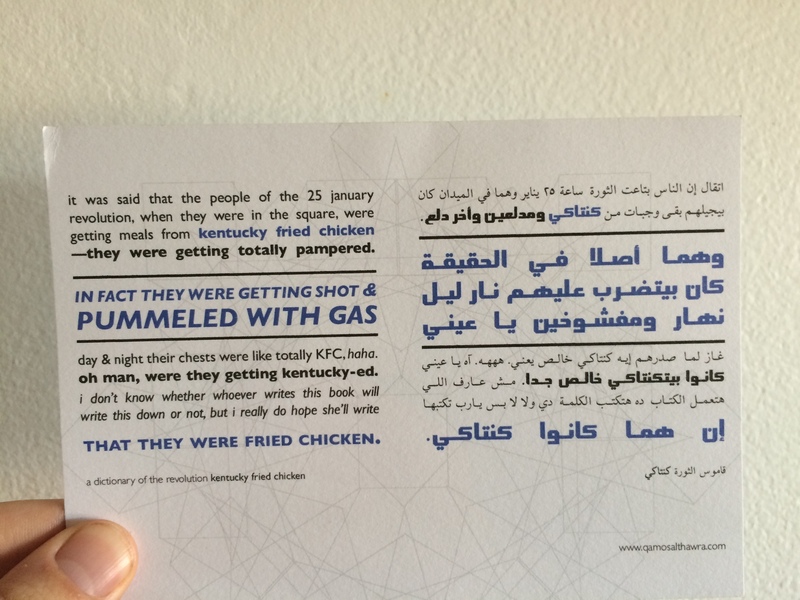 The project documents the Egyptian revolution through interviews conducted all around the country, using a set of ‘revolutionary vocabulary cards’. An amazing way to work with the memory of many voices… please, check it out! A long interview with Amira Hanafi (in English) can be found here.